Actually, I never quite left the barefoot running scene, just haven't been that visible. Not running races because basically I'm poor. Also, being a fire lookout doesn't lend itself to running: this last summer I 'ran' but it was basically run downhill, then hike back up. Which is not nothing. Also too, I suffered a non-running related injury that I've been working through this last year. I could go into the details about how once again doctors were useless and I had to heal myself, but you probably already know that. So, I've been nursing myself, doing short runs. I would like to get back to marathon mode, but it's been some years, and right now, a 5K sounds good. 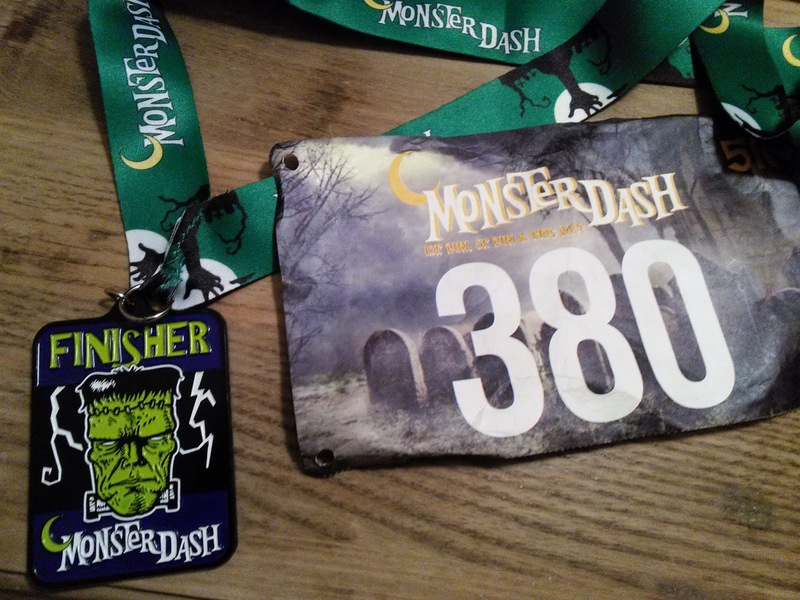 I usually don't do many short races—paying $30 to run a distance I'd usually do on my own seems a waste. Except when it's fun, and I'm with a friend, and it's not really a race but a fun run anyways: The Louisville Monster Dash for upcoming Halloween. And note: this is Louisville, Colorado, outside of Boulder, where I'm enjoying a post fire season R&R. Gotta rest and recreate after sitting on top of a mountain all summer. Also, this town pronounces the 'S', Louis-ville. There is a 10K as well, and a friend of my friend is running that, and I am tempted to try it, but I just have not been running anywhere close to that distance in a long time. I could probably power through, but I'll just have fun. Plus, there may be the problem that some of the course is on gravel trails. When I quiz my two compatriots, locals, they don't think it's gravel gravel, but what is called "crushed fines" which I'm sure I can handle. But if the gravel fairies have been around, then 10K would be pretty brutal. So 5K it is! And since it's Halloween, the costumes abound on this warm sunny day. We three are not costumed, and not everyone is, but here is a woman dressed as Pac Man, with her boyfriend as one of those blue monsters. Whether that says anything about their relationship dynamic I don't know. And here is a bumble bee woman. And here is a Frankenstein's Monster (the 'theme' of the race this year is Frankenstein) and his bride. And here is a young girls as Bride of Frankenstein. Because yes, this is a child-friendly event, there will be three children's races after the adults have their fun. We are led thru a pre-race stretch from a member of the local yoga place. Which is actually not a stretch, which I don't recommend before running, so much as a loosening up. Surprisingly, everyone joins in. This is Boulder after all. The 10Kers line up first, maybe fifty strong. This is not a high stakes race, though we have 'chips' or whatever they're called now that their super light. And they're off! We 5Kers line up. Maybe a little more of us. 70? I position myself mid-way in the pack. I don't think I'm going to be doing any feats of speed today, but I'm feeling pepped up. I'm still not quite sure what to expect on the trail, but I can do 3.5 miles of anything barefoot. Btw, I am definitely the only barefoot runner. In fact, I couldn't help feeling that I was more of a gawking attraction around the area than the various costumed folks. 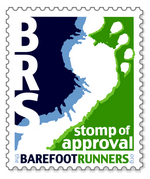 I would have though maybe in Boulder there'd be some fellow barefooters, but no. I wonder. Did I miss the peak while out of action? Ah well. We're off! Everyone surges. A monarch butterfly woman in front of me spreads her wings to start, which is get, but a few of us are trying to get around her. I don't know why everything is so urgent, but I figure at 49 I might be one of the few in my age group and might actually place. Ha! I've already gone to "I wonder if I'll survive" to "Get out of my way!" We are soon on the trail part of this park, and yes, it is indeed composed of crushed fines: basically gritty sand with small round pebbles. Totally doable. As the pack spreads out, I pass some folks, though am also passed. The big surprise is the altitude. I've been in Portland for the last few weeks, kind of a flatlander. I'm gasping for air. Gotta tone down my 'dash' and go for my penguin waddle. But, I'm running! In a race! I'm back! My heel if fine. My feet feel great! They are thanking me for running barefoot again. It is a good day. Alas, the odd race dynamics which sometimes happen, happen: I am sort of running pace with this Mom From Hell, who is running with her young son, which is cool, or could be cool, or would be cool, if she were not yelling at him non-stop. This young guy is doing his best, he's doing a slow jog, he's running, but she's wanting to go faster, and his little legs are just not going to go any faster than what he's doing. Which is not bad, but not good enough for her. "Come on! You need to run!" "You're not running! You're walking! Give me your hand! If you can't run on your own, you run with me." The boy is crying. But he's not stopping. He just wants to go slower. "I can't!" "Yes you can! Hold your arms up if you're cramping. Come on!" I can't stand to be around this, so I put on a little more energy to get away from them. Alas, I need to urinate, so pull off behind a tree. When I get back out, they've caught up to me. And she's still going. He is not going to grow up to like running. Nor, as my friend points out, is he going to grow up to like his mother. The trail changes to bike path for the loop, which allows me a little bit more oomph. The crushed fines have been fine, but the smooth pavement let's me not worry about the stray sharp pebble, maybe a longer stride. I come across people who are walking, exhausted, either didn't pace themselves and/or maybe don't just run that much, which I think happened in short races like this. Not a bad thing, I understand the urge to think one can sprint the whole thing. But you can't. It's still 3.5 miles. And the loop is looped. I realize we had been going uphill slightly the whole time, so that's nice to have a little downhill here for the end. Back on the crushed fines. Still ok. I suspect my feets will be a little sore from it later, or tomorrow, but maybe not. It just feels great to feel something on the soles. I'm not saying it's like a foot massage, but I feel alive. Though still gasping for air this whole time. I'm right on the edge of out of breathness. Just cannot get enough oxygen, so almost wheezing, though I have my pace, and I'm doing ok, passing some folks still, though once in a while some person zooms by. Not sure if they registered late or what, but amazing they can still zoom at this point. I hear someone coming up behind me, and suddenly some dude is leaving over yelling into my left ear. "Hey! Have you every read the book Born To Run?!" Startled the heck out of me. I just cannot recover and make friendly, and say how much I liked that book. I instead hiss out a yes. Which is hissy enough for him to realize he's angered me. That or he just thinks I'm a jerk. Which I probably am. Either way, he backs off. "Seeing you barefoot just made me think of it." He backs off and I don't say anything else. I'm a horrible barefoot running ambassador. At the finish line, one of the women handing out the medals says, "Oh my god! You're barefoot!" as she hands one to me. And then....I'm done. Time, 30:04. I finish 10th in my age category, and 32nd in men overall, and 69th in everybody overall. I will take all of that. Numero uno in the barefoot category!